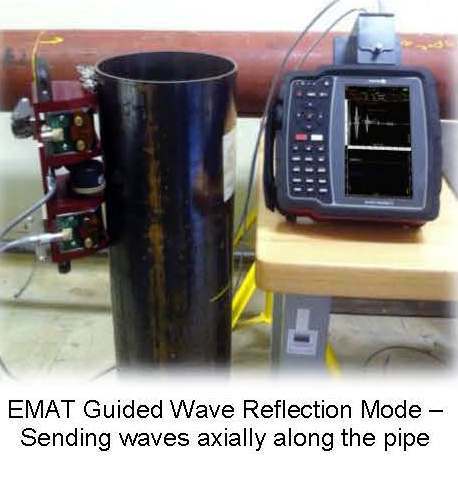 IRISNDT uses EMAT guided waves to inspect piping for metal loss. More specifically, we use the technique to inspect inaccessible areas such as that under pipe supports. 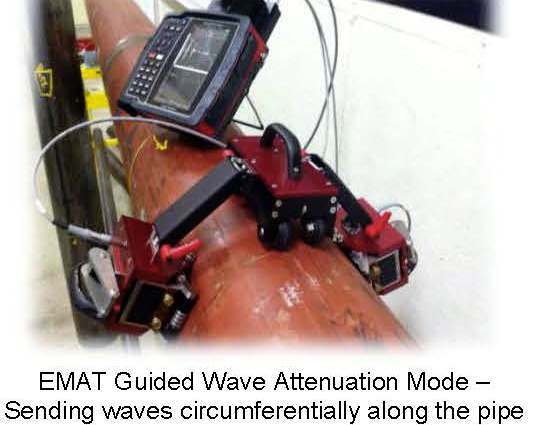 The guided waves can travel in the circumferential or axial direction and are sensitive to thickness changes (corrosion losses) on entire volumes of pipe (internally and externally). 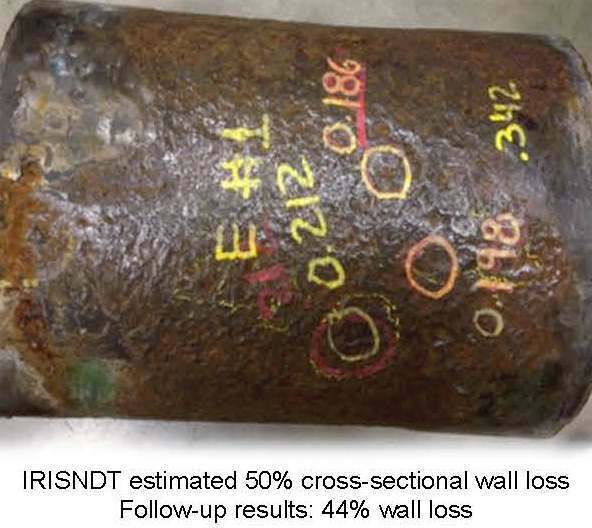 To assess the location and extent of corrosion damage, IRISNDT operators use EMAT guided wave ultrasonic wave arrival time (velocity change) and amplitude information. 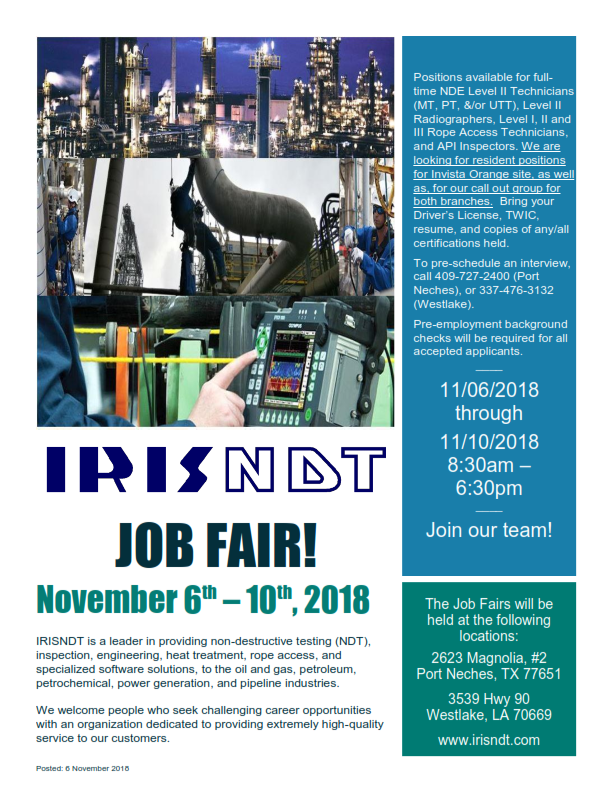 • Detects touch/ contact point corrosion. The volumetric wall loss is estimated with a ±15% error margin when using combinations of circumferential and axial scanning. • Detects corrosion under supports. • Is used to identify soil to air interface corrosion. • Detects corrosion, erosion and cracking in ground piping. • Detects corrosion, erosion and cracking in furnace tubes. • This dry and non-contact method does not require an acoustic couplant. It allows up to 0.1 inch (2.5 mm) lift-off. • Allows coverage of up to 3 feet (1 meter) with short range guided wave. • Allows for the inspection of physically inaccessible areas. 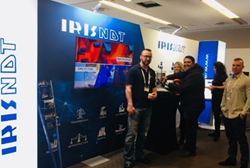 • Allows real time analysis and storage of inspection data. The data is represented in A, B and C scans. • The high frequency guided wave results in better accuracy and resolution than low frequency guided wave application (long range guided waves). • Allows us to inspect pipe of diameters greater than 2 inch using axial guided waves and pipe of diameters ranging from 6 inch to 24 inch using circumferential guided waves. • Can be used at up to 200 °C (392 °F). 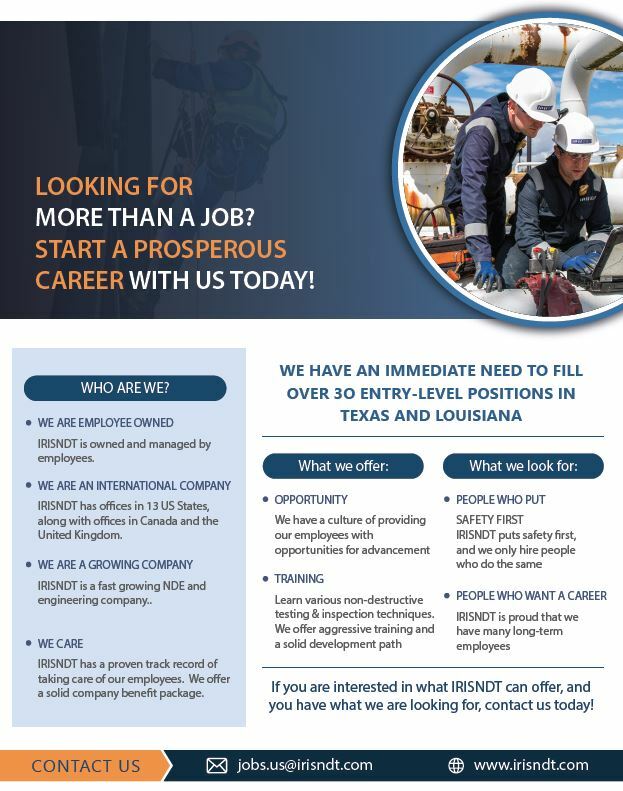 • Access to the inspection location is needed. • The thickness value of the equipment to be tested is needed. • Insulation removal at the test location is needed. • Surface cleaning at EMAT probe locations is recommended. 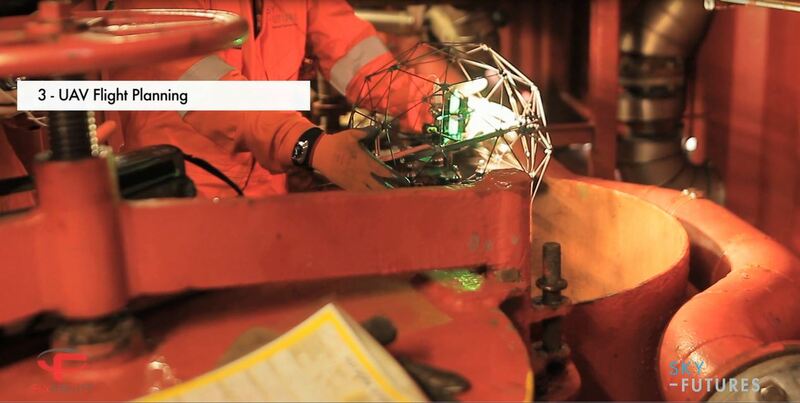 • Piping, tanks, vessels or plates are scanned along the length between the sensors with a pitch-catch configuration. • A transmitter and a receiver are used to track the echoes received in a direct transmission. 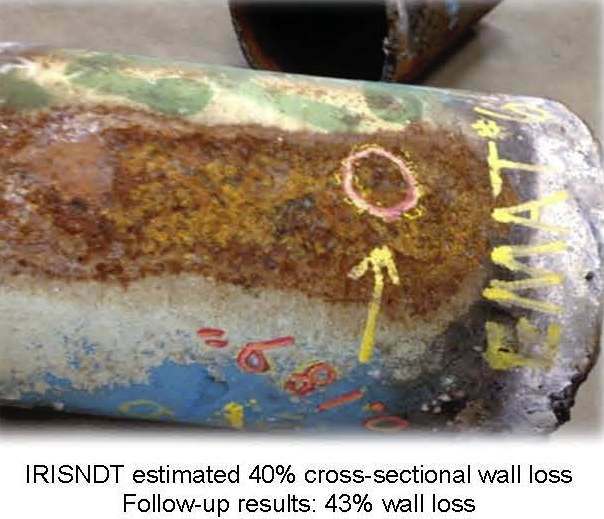 • Corroded walls cause time-of-flight shifts and decreasing amplitudes. 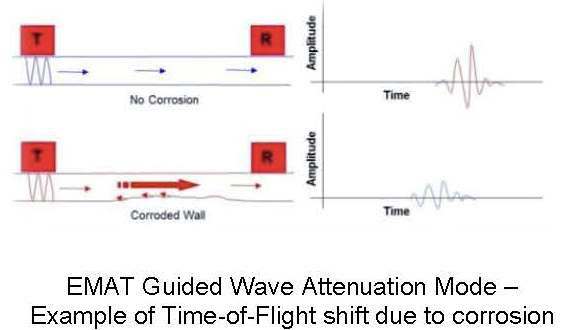 Time-of-flight shifts are caused by velocity changes when the wave travels through the thinner portion of the pipe. 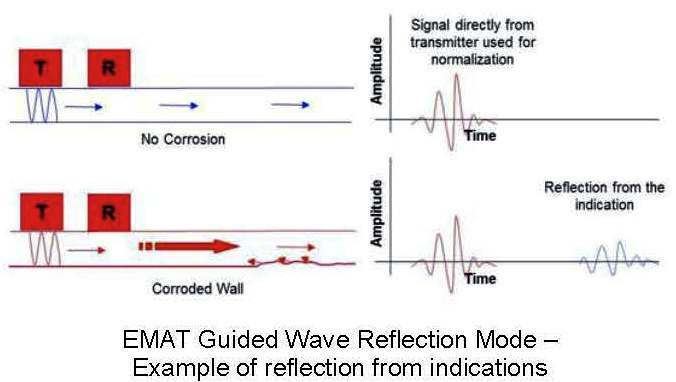 • The amplitude decreases due to energy loss/reflections from corroded areas. 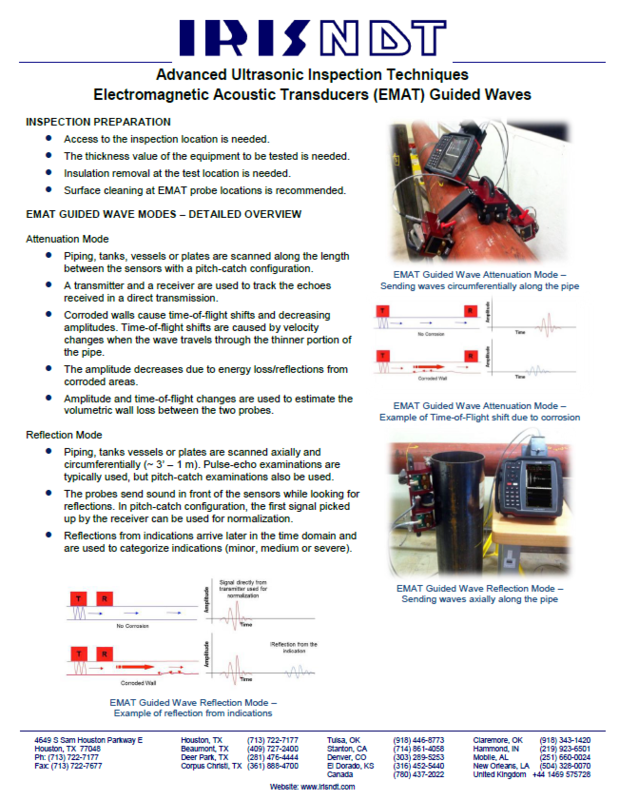 • Amplitude and time-of-flight changes are used to estimate the volumetric wall loss between the two probes. • Piping, tanks vessels or plates are scanned axially and circumferentially (~ 3’ – 1 m). Pulse-echo examinations are typically used, but pitch-catch examinations also be used. • The probes send sound in front of the sensors while looking for reflections. In pitch-catch configuration, the first signal picked up by the receiver can be used for normalization. • Reflections from indications arrive later in the time domain and are used to categorize indications (minor, medium or severe).